Made with collagen, gold powder, Vitamins A, E, hyaluronic acid, and glycosaminoglycans the mask reduces the appearance of fines lines and hydrates your skin so that your skin glows. 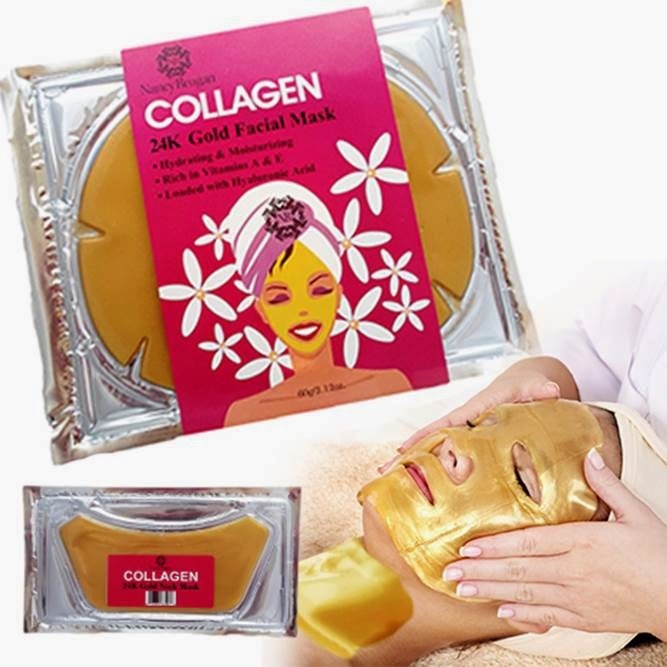 When applied to the skin, the gold collagen mask starts to provide a protective layer on the skin to fight free radicals. Because the mask is so occlusive, it forces the skin to absorb the plant collagen at almost 10 times the rate of traditional facial masks. This mask hydrates, softens and detoxifies the skin while enhancing blood circulation, minimizing skin pores, and diminishing fine lines and wrinkles. You apply the mask, leave it on 20-30 minutes and remove. I had such baby soft skin when I used the mask. I like immediate results and this product gave me that. I say if you love pampering your skin, then this is the product for you.